Timeline Miniatures Saxon Hall Kit, ideal for dark age and fantasy game systems such as Saga etc. 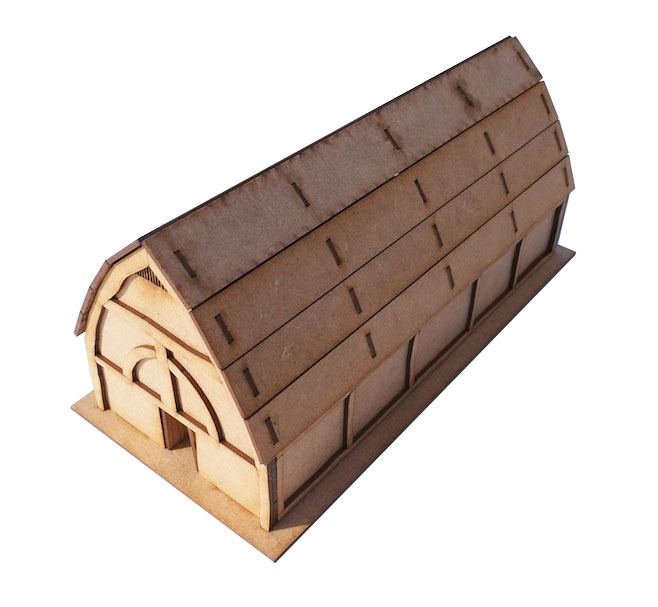 This kit is a companion piece for our House and Hut models, and comes complete with fur for thatch. The roof comes off and reversals a two chambered interior. The exterior has timber framing detail and the interior has roof rafters. This comes in a kit form and requires assembly and so you will need a knife or scalpel to release some parts. 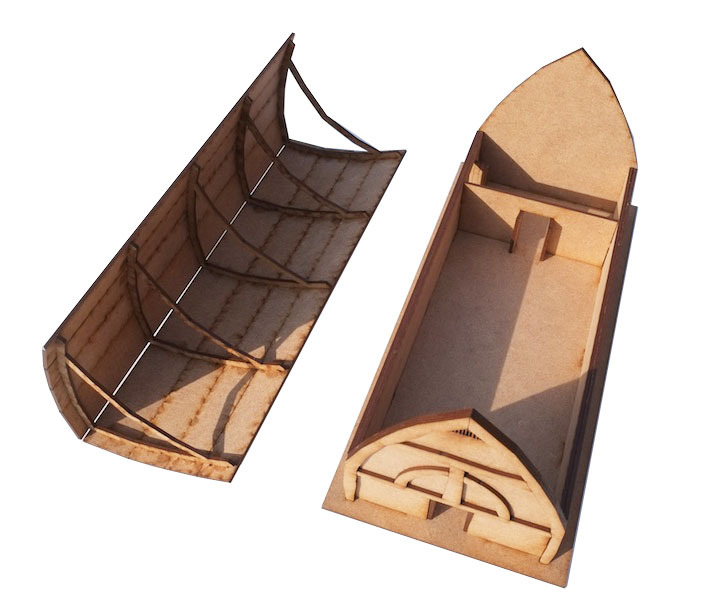 The hall measures 250mm x 105mm x 107mm high.